The Montagu Mountain Reserve Needs Your Help! There has been an alarming increase in the number of tortoises that are targeted and have been badly hurt these last few months. The Friends of our Tortoises (FOOT) Workgroup is looking for contributions to their medical aid kits. FOOT now has 5 badly damaged tortoises in their care (within 1 week!) and each requires medical attention. 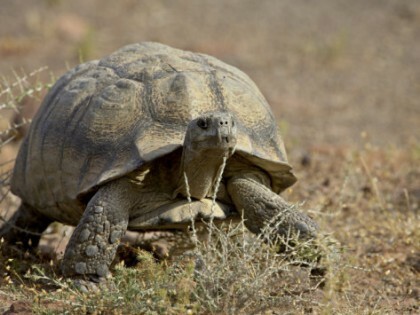 FOOT urgently needs: hardwearing sticky plaster - material (rolls), gauze (lots), cotton wool, Germaline, Betadene, Savlon, Silverdene (expensive but the most effective for damaged tortoises � normally used for burn victims). They would also like to build up a cash kitty to pay for the antiseptic injections (Dr Le Roux) and the cost of euthanasia (Dr Le Roux) where necessary. If anyone has a �Molly Box� in which the injured individuals can be contained whilst being treated, that would also be fantastic as all of our stock is being used. Aside from our urgent requirements, we are asking everyone to be vigilant. It will also be good to take cell-phone photos which the schools, the police & the media can use to track down the culprits. From the feedback given by people who have stepped in, it seems to be mostly school children. 78 Bath Street, whereafter he will distribute to Colin Johnson & Lynn Shaw.